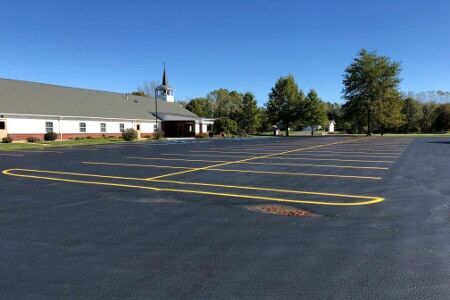 Pittman Asphalt Maintenance does paint striping for new and existing parking lots. 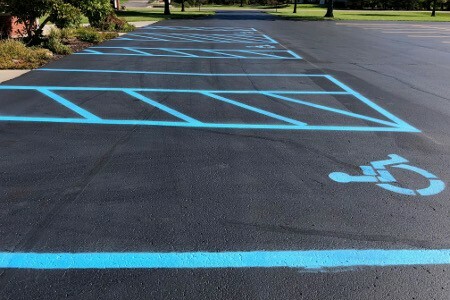 For churches, schools, municipalities, and businesses, parking lot striping is a must have and requires careful planning to ensure compliance is achieved. Handicap parking spaces are regulated by the Americans with Disabilties Act (ADA) on the number of spaces and the visible markings & signage required. We can assist with planning out your design to ensure everything is correct. In addition, OSHA has requirements for markings which guide traffic and highlight hazard areas on the plant floor. Pittman Asphalt Maintenance can fulfill all of your paint striping requirements including recreational courts. Call us today at (616) 786-2923 for a Free Estimate on any paint striping service. Let Pittman Asphalt Maintenance assist in planning out the flow of your parking lot. We'll ensure your plan addresses all of the requirements. Finish your new or existing parking lot with the proper striping & signage. Pittman Asphalt Maintenance will ensure you follow the correct compliance guidelines. 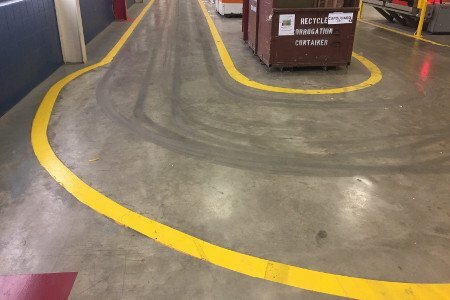 Factories and plants require special custom markings to direct traffic and ensure dangerous areas are clearly highlighted. Call us at (616) 786-2923 for an estimate. 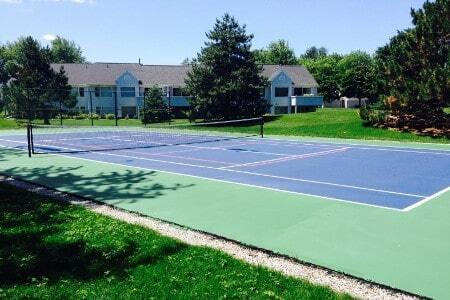 Custom striping services for Tennis, Basketball, Pickleball, and many other recreational courts. This service is available to home owners, churches, & municipalities.